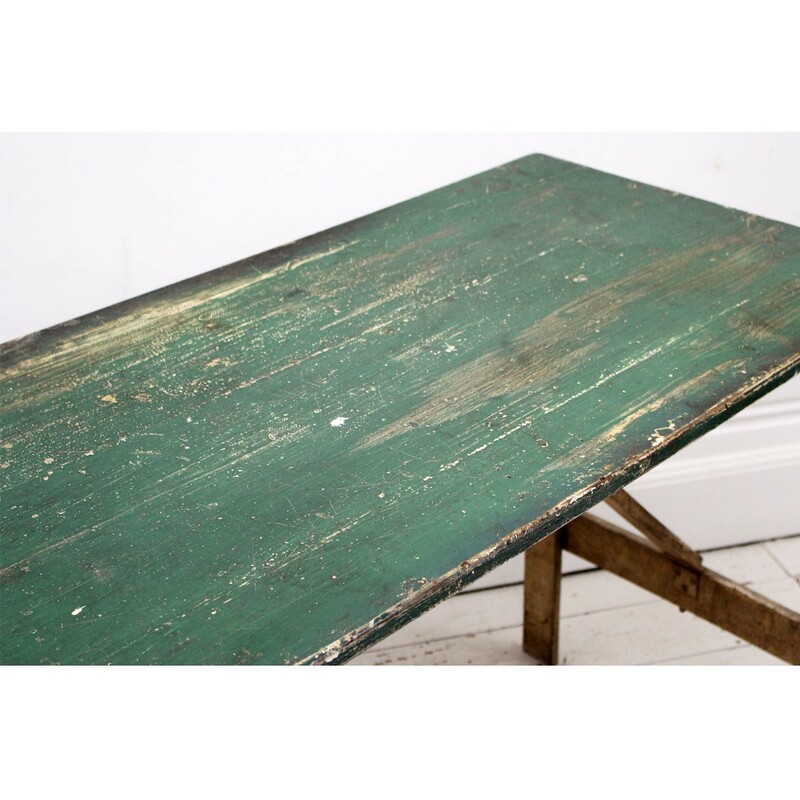 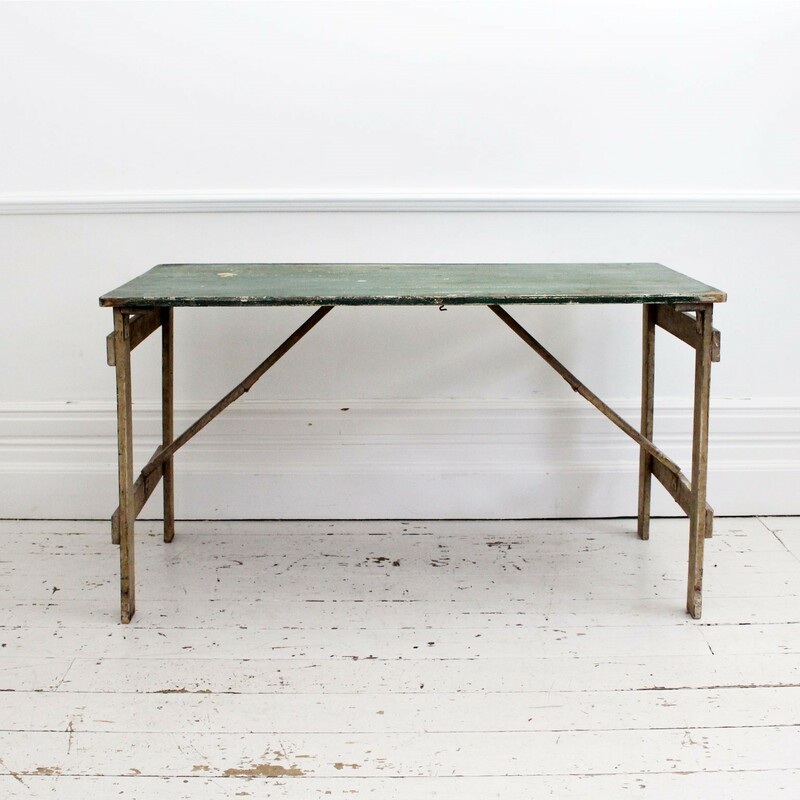 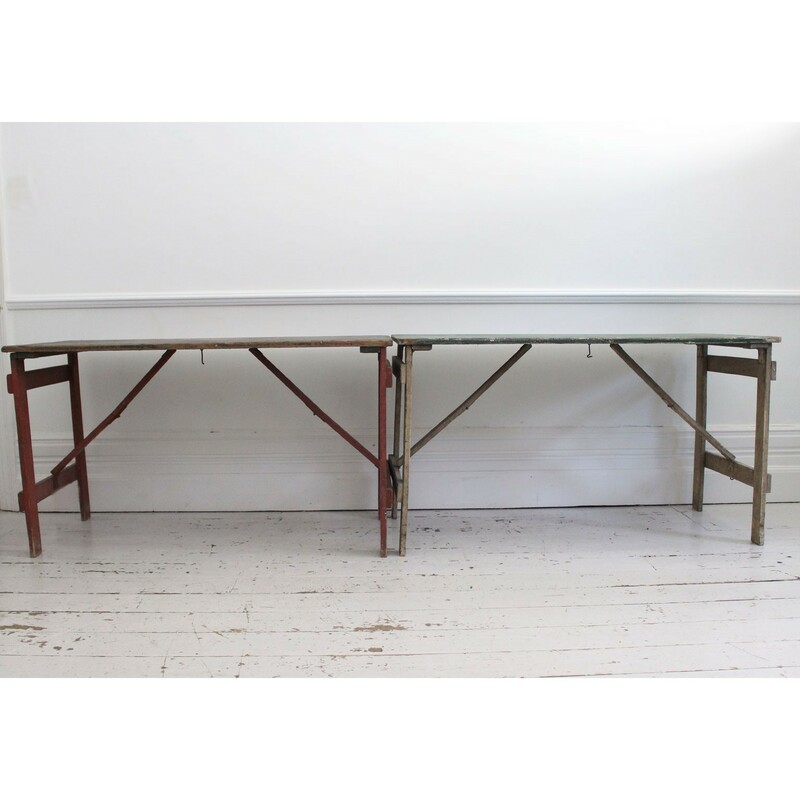 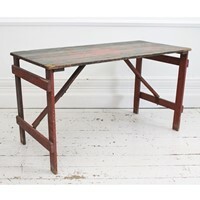 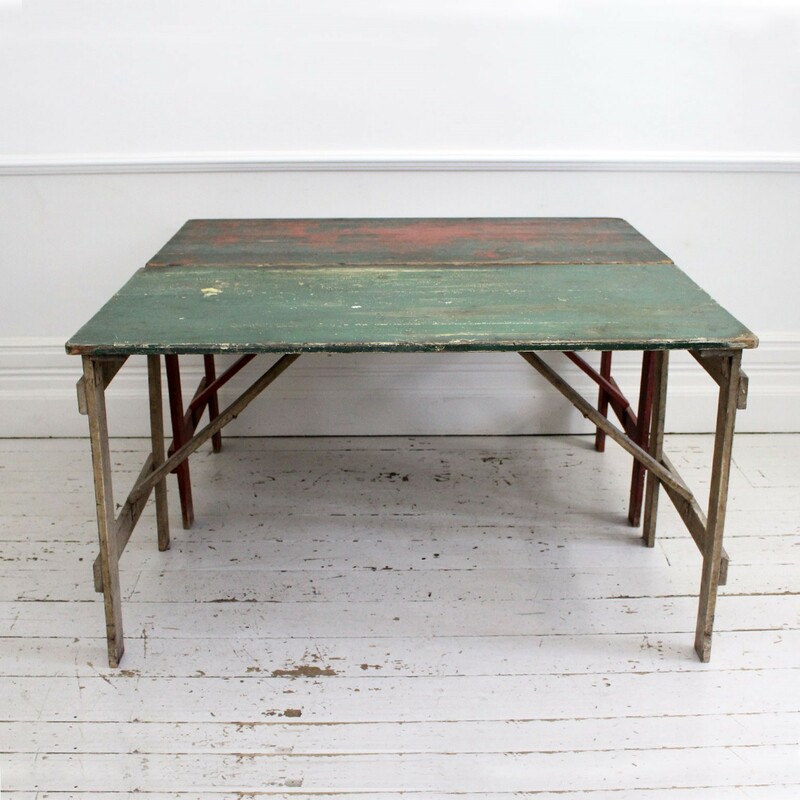 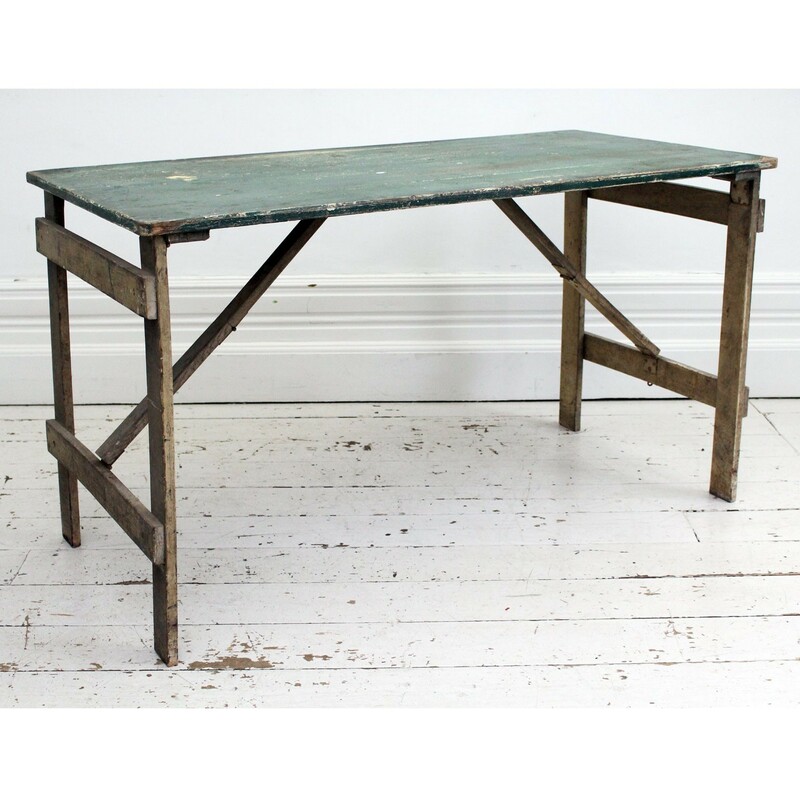 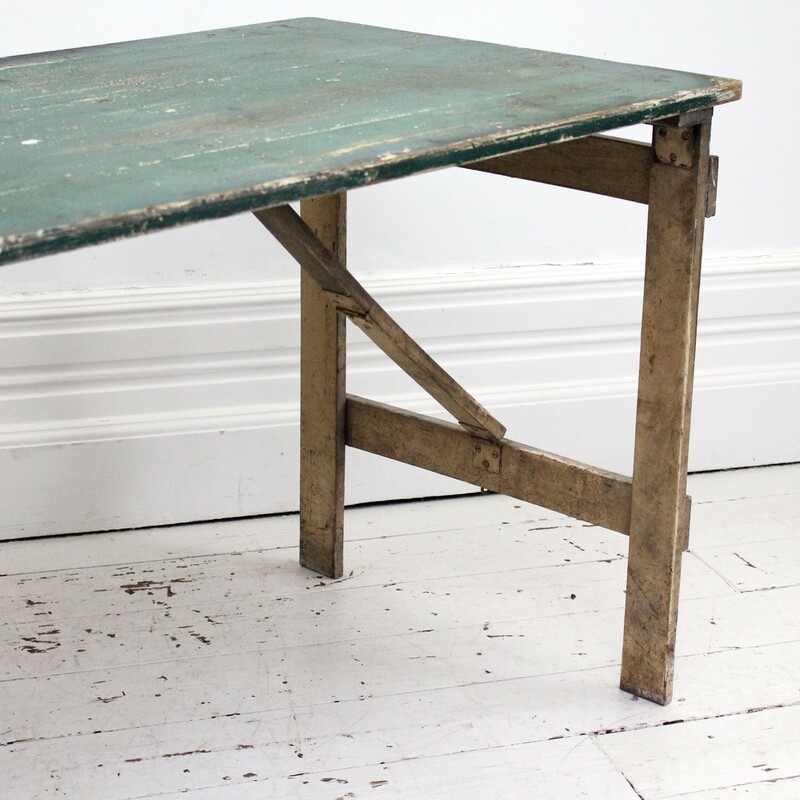 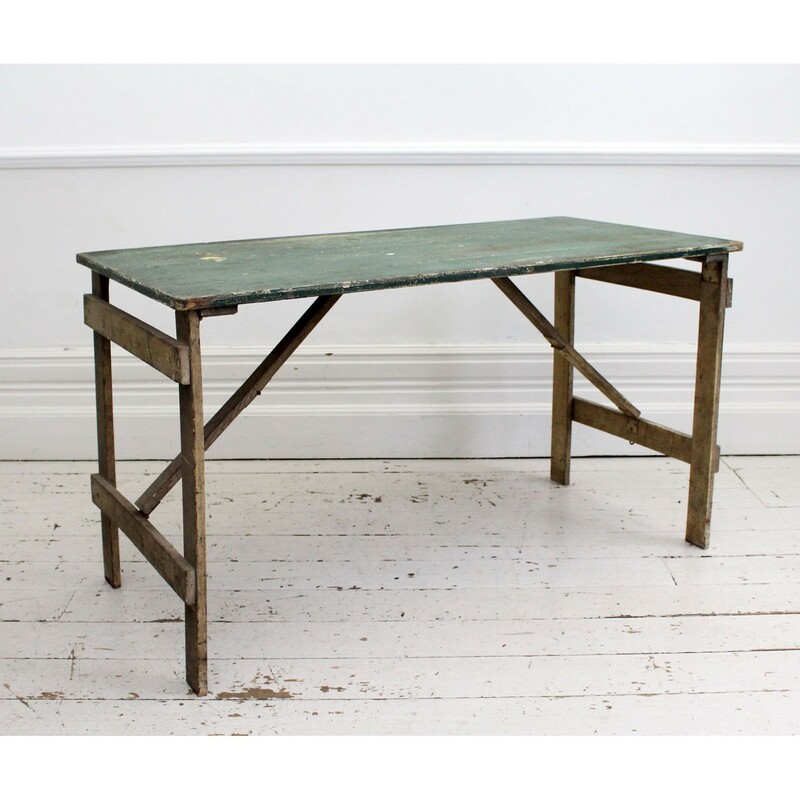 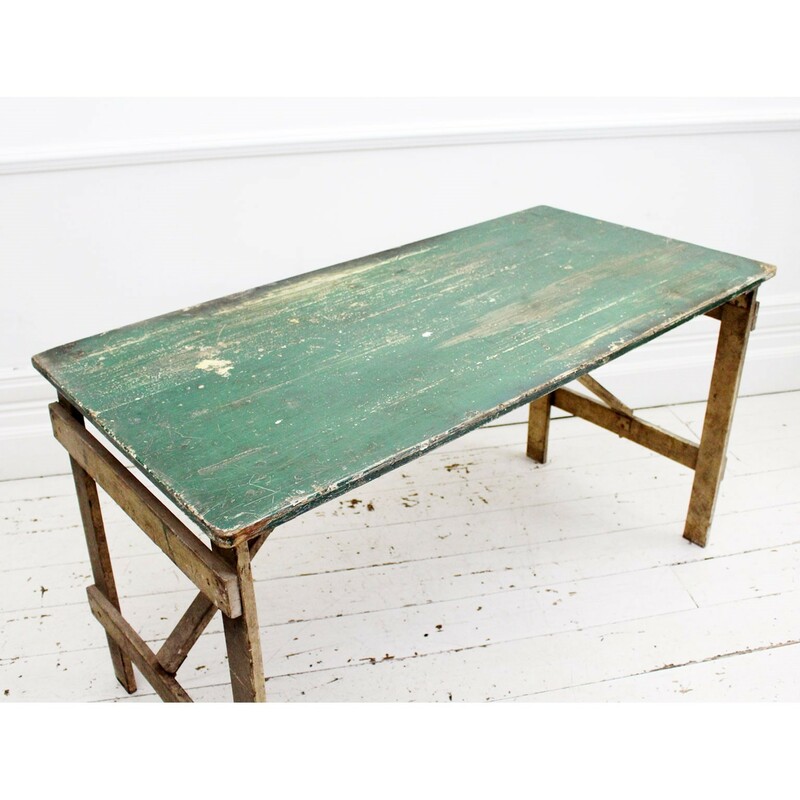 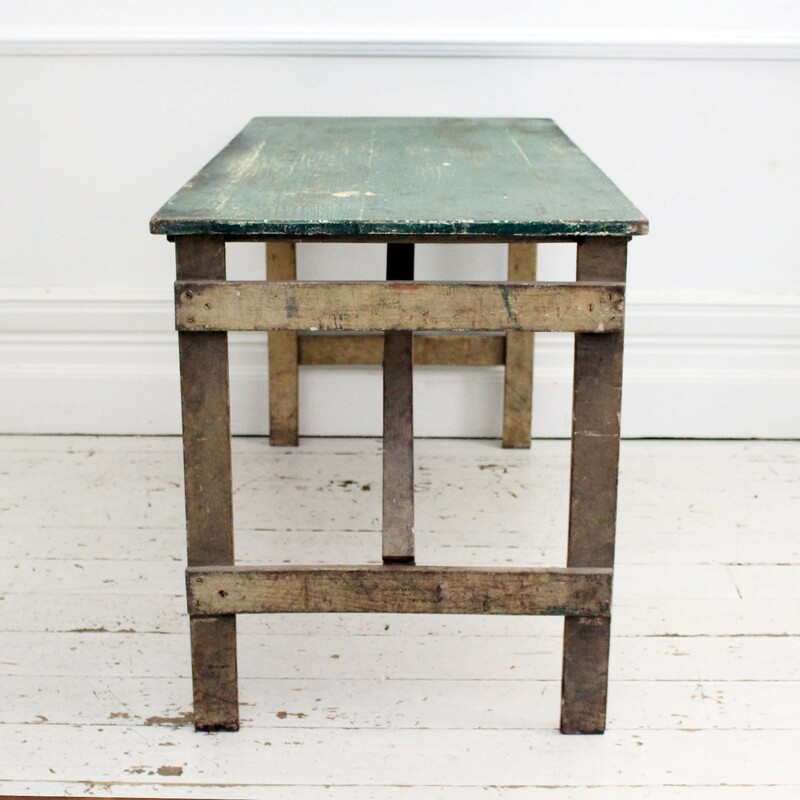 We have two of these very nice painted trestle tables, one greeny cream and one red green. 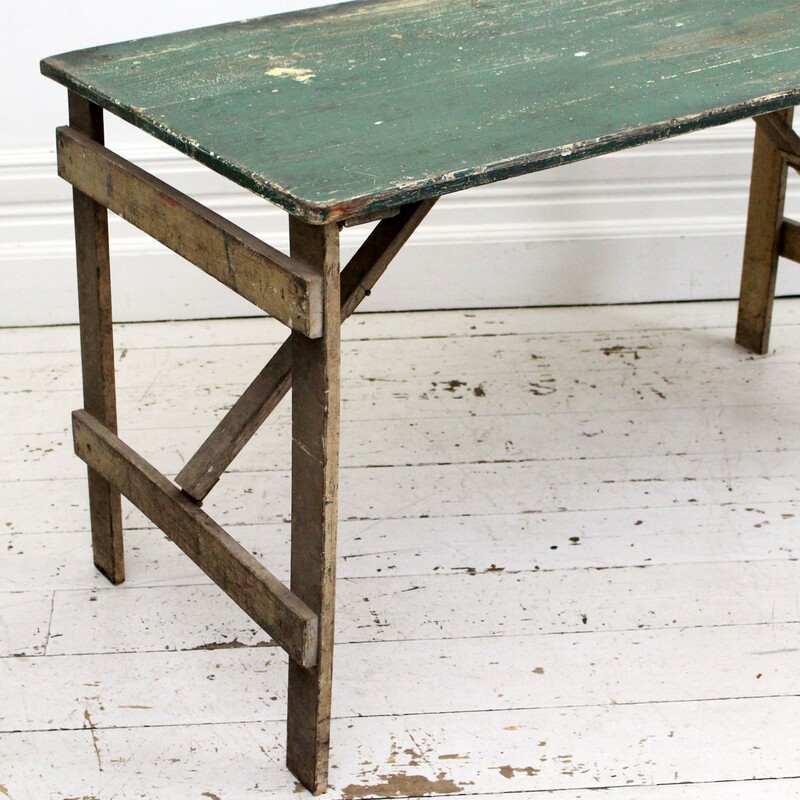 They are exactly the same size. 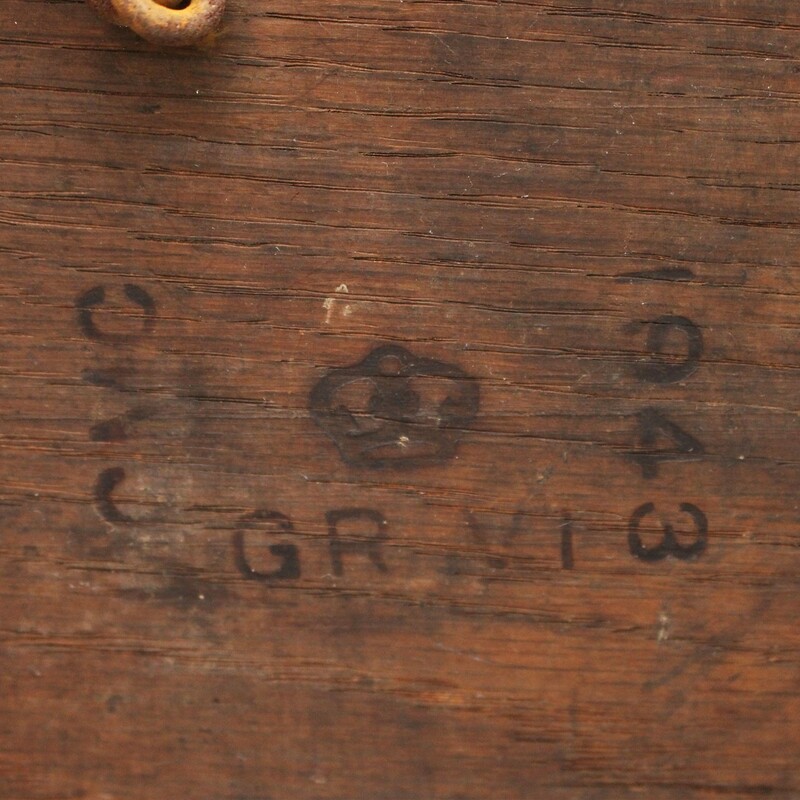 This one is oak and the other pine. 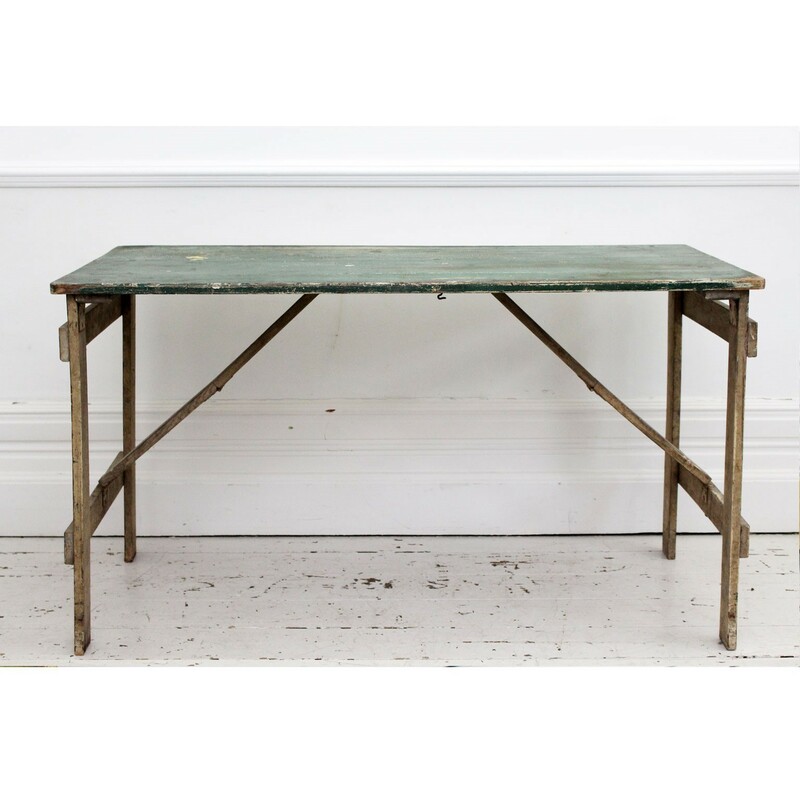 This table is especially interesting because it is stamped underneath George VI 1944 and was reputedly used on one of his estates as an outdoor table on shooting trips.